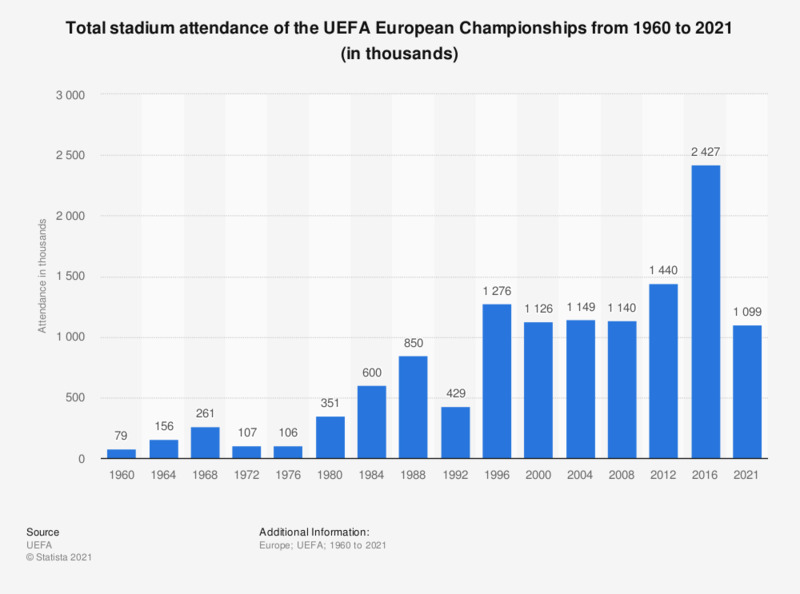 This statistic shows the total stadium attendance for the UEFA European Championships from 1960 to 2016. A total of 1.4 million people watched the matches of the UEFA EURO 2012 tournament live in the stadiums. ** Figures prior to 2012 have been taken from difference sources.